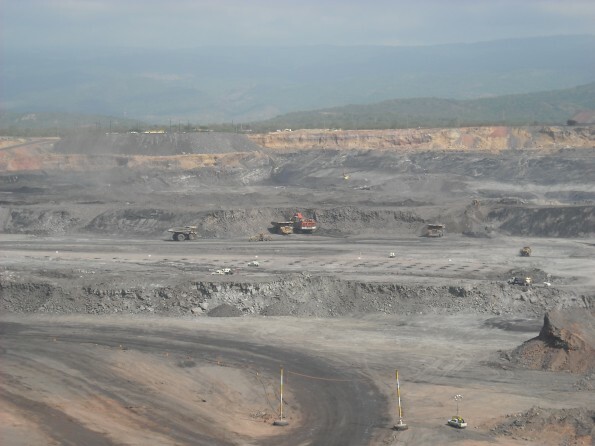 Open cast mine in Colombia (via London Mining Network). Our new report reviews most of the Greater Manchester Pension Fund’s (GMPF) direct fossil fuel holdings and presents a way of prioritising companies for divestment, based on both their relative climate impacts and the risk of these investments becoming stranded (i.e. losing much of their value in the medium term). We identify nine companies, mostly involved in coal mining, as the most deserving of divestment. These are followed by another eleven companies that we rate as the next most damaging and/or at risk of asset stranding. Fossil Free Greater Manchester continues to argue for a managed programme of full divestment from fossil fuel companies. However, the methodology in this report could be built upon as a means of prioritising holdings for early divestment. To read the report click here for the pdf. Here are our top ten companies for divestment, but read the full report to see how we arrived at this and also to see which other companies are early candidates for making the switch of investments to something more beneficial for the people of Greater Manchester and beyond.